Brockfield House (previously known as Runwell Forensic Psychiatric Hospital) new reception area and ward identity and way finding commission. 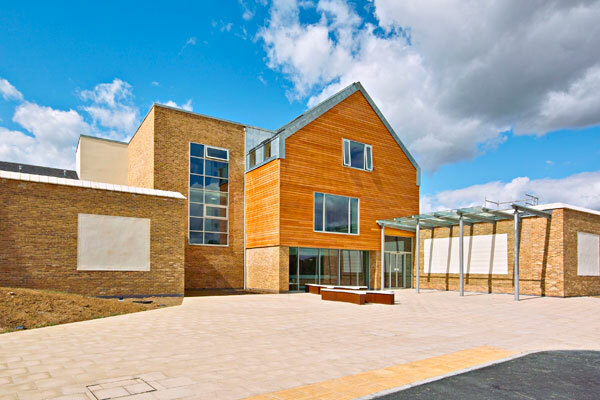 Superblue worked with Impact Art to produce significant elements for this delicate new build project for Grovesnor House Group developers and South Essex Partnership University NHS Partnership Trust with architects Steffian Bradley. The commissions played a crucial role in humanising the interior and exterior spaces. Through consultation sessions with medical staff design themes for each of the wards was developed. The final outcomes were then all based on the natural world. Superblue created work for the main entrance including a two storey lightbox and corten steel and concrete seating that flows from entrance plaza into the main reception. The bespoke furniture pieces using steel and concrete starts the way-finding strategy to what is a complex secure health environment. 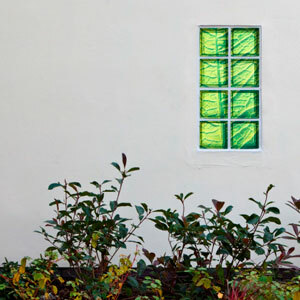 Silk-screened glass bricks for each ward garden and ward entrance light boxes were developed to give an identity to each ward and to aid way finding. 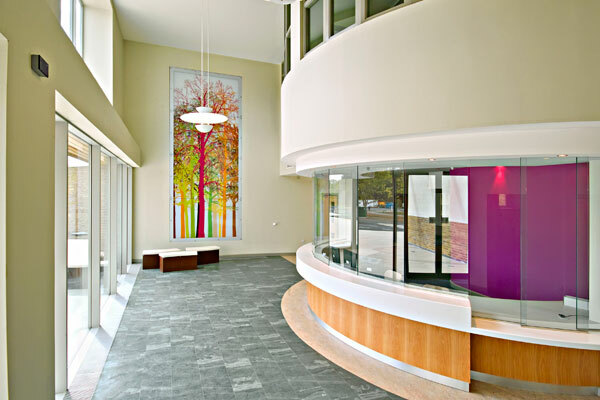 The natural elements through the use of lighting flowed throughout the hospital, expressed in different ways. Right: leaf close-up ward garden glass blocks. 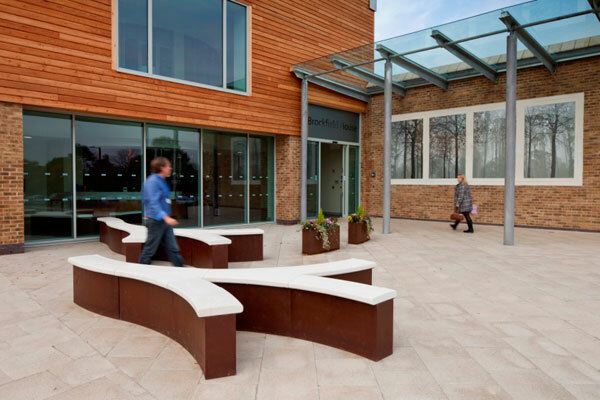 Hospital reception area with corten steel and concrete seating with a two storey L.E.D. lightbox.